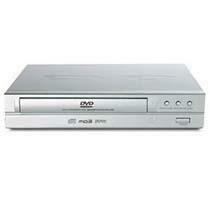 The world's least surprising study says that the era of the DVD player is at an end. This might have been shocking a few years ago, but at this point it seems like we're all comfortable with the fact that the DVD era is over and done with. It's been done for a little while now. What is surprising about this study is that it shows smartphones and tablets as major sources of the drop-off. People are downloading shows from Amazon and iTunes and streaming movies from Netflix instead of using their DVD players. The study, carried out by Chadwick Martin Baliey - a research company, not just one guy - revealed that two thirds of the people they spoke to used smartphones and tablets for full length movies.